WASHINGTON, D.C. — While Washington D.C.’s locals and tourists were enjoying the first bloom of the world-famous Cherry Blossoms, an impressive audience of about 70 blockchain technology and cryptocurrency enthusiasts gathered at Georgetown University’s McDonough Building on March 30, 2019 for Government Blockchain Association’s first Event Series, “The Future of Money, Governance, and the Law” to hear from experts in government, blockchain technology and cryptocurrency. The panel discussion was moderated by GBA’s Executive Director Gerard Daché, and featured Nabeel Malik, CEO of Cryptolics, Inc.; Bryant Nielson, CEO of Blockchain Academy; Georgetown University Professor Gilles Hilary; and Former Congressman, Jim Moran, who represented Virginia’s 8th District from 1991 to 2015. Georgetown University Professor Gilles Hilary said so much of the back office work for blockchain technology work is already being done, but no one cares about what is going on. However, many business professionals running start-ups are eager to learn more and see the status quo change. 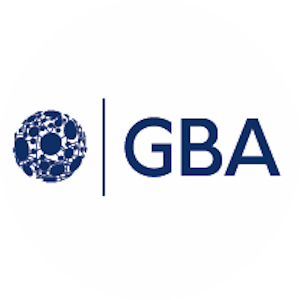 Business strategist, Vernon Brokke, who has a background in IT/Networking arena selling leading edge products to the commercial and government markets, attended GBA’s event because he has always been interested in new, emerging technologies and structures like blockchain technologies and cryptocurrencies, and for finding out what their impact will be on the economic and social fabric of the world. Brokke, who has experience working with start-ups for over 10 years, walked away from the event with the knowledge that disruptive technologies and currencies represent a paradigm shift in banking, finance, education, health and society. For the most part, attendees learned from the Event Series that adopting and implementing blockchain technology and cryptocurrency will be a long process. However, the overarching takeaway from GBA’s first Event Series revolved around the idea that the public’s general mistrust of the government has attracted an increase in cryptocurrency users, such as with the first-ever, widely known cryptocurrency, Bitcoin. Furthermore, the mistrust toward government, and the increase in usage rate, is a global phenomenon, especially in countries with the highest rates of corruption and those with poverty-stricken households. Malik emphasized that, globally, Venezuela has the highest rate of Bitcoin users because the majority of Venezuelans mistrust their government. He also said that Venezuela’s having a high rate of poverty cuts off the likelihood of having access or the means to traditional banking services. Malik said that over two billion people are unbanked throughout the world, but pointed out that using cryptocurrency offers people from low-income households access to banking services. He said using cryptocurrency is much easier for people with little means because all one needs for storing assets and making crypto transfers is a cell phone and internet access. Digital currency is also widely used among the younger generation, Malik said; additionally he said that for the next generation, digital currency will be a way of life. Focusing on the United States, as with Malik, Moran agreed that innovative ways of conducting government financing needs to change. Moran explained that everyone should be concerned and want to fix the problem that the younger generation pays more interest on the U.S. debt, totaling over $21 trillion, than the debt itself. He said the general public’s mistrust of the government has led to an increase of people relying on cryptocurrency for their money transactions throughout the U.S. Event attendee and GBA member, Andrew Parrish, CEO and President of both Diligentiam and Alternate Tax Solutions, noted that the discussion highlighted the disparity between the number of blockchain technology developers and the need for having the developers on hand to support the work being generated throughout the world. Parrish’s comment referred to Nielson’s claim that there are 25,000 blockchain technology developers with a global need of 250,000 developers. Parrish, who first discovered blockchain technology and cryptocurrency because one of his clients asked to join him at a blockchain technology event sponsored by the state of Rhode Island, wondered about the role and influence the federal government has on developing cryptocurrency laws. Parrish is also curious if many other states are moving to some sort of blockchain technology implementation. Blockchain Academy’s CEO Bryant Nielson said that innovative changes within our society will occur before the government makes changes. Nielson also mentioned that blockchain technology is not just about cryptocurrency. He said, for example, there’s patent and trademark use cases for blockchain technology. Some event attendees recognized that the panelists all agreed that the disruptive technologies and cryptocurrencies do provide a paradigm shift in banking, finance, education, health and society. And in order to address the changing digital environment, there is a great need to provide education, training and certification to fill the gap in developers for blockchain technology. Moran also urged the next generation of Americans to improve the functionality of the U.S. government by being open and active to innovative methods and ways of handling government affairs and technological advancements as can be seen currently in the blockchain technology industry. Right now there’s little incentive to change within the government, Moran said.